China is one of the world’s four ancient civilizations and boasts over 10,000 years of fascinating history. Altering periods of political unity and disunity in China gave birth to many events that shaped the world we live in. Among them are four great inventions that made a tremendous contribution to humankind—paper, printing, gunpowder and the compass. Known as one of the world’s earliest cradles of civilization, China is overflowing with history & culture waiting to be explored during your educational school trip! China is a popular travel destination for teachers & students thanks to its numerous landmarks, monuments, and diverse landscapes. Take your students on a tour of the Great Wall, visit the impressive Terracotta Army or experience the Forbidden City in all its glory—regardless of what you plan to see and visit endless teaching moments await you in China. See what China has to offer. 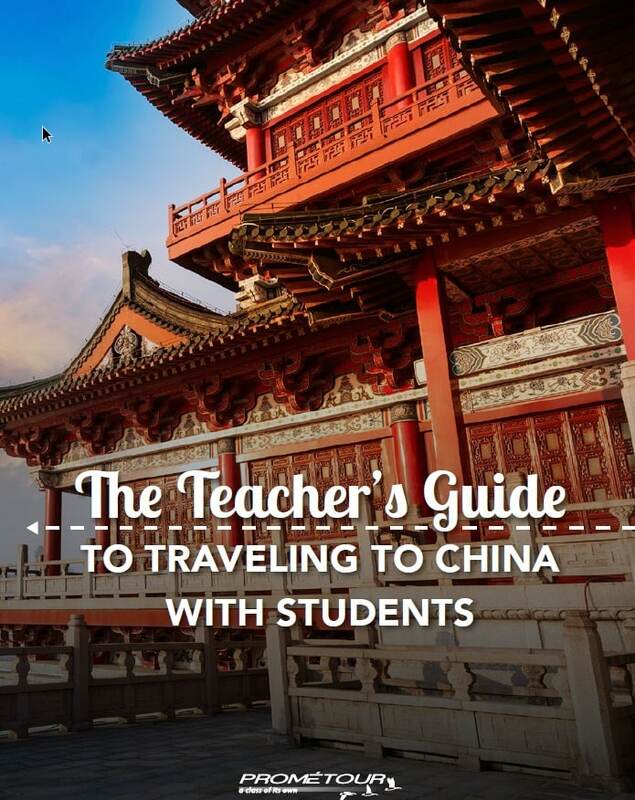 Fill out the form to the right to have your free copy of this guide delivered straight to your inbox and begin planning your student trip to China today!